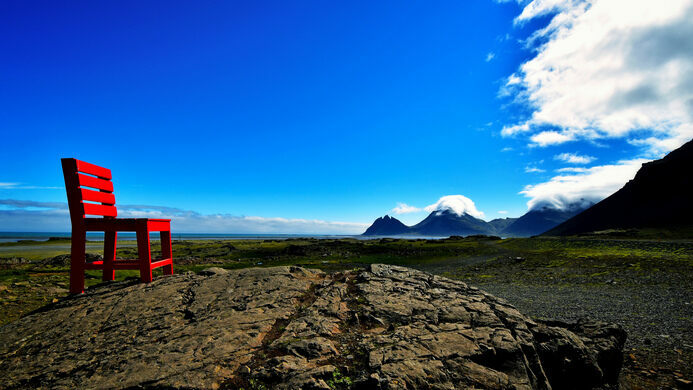 Iceland’s Route 1, aka the “Ring Road,” runs around the perimeter of the island, hitting many of the country’s most famous natural wonders, like the Skógafoss waterfall and Jökulsárlón glacier. There are long stretches of this national road where there’s nothing around for miles, just the vast, empty landscape. Along one of these remote stretches, between Höfn and Egilsstadir in eastern Iceland, a bizarre sight cuts through the isolation. 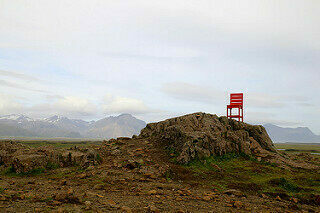 A giant red chair is inexplicably bolted to a rock in the middle of a mossy field. There are few buildings around and a whole lot of sheep. 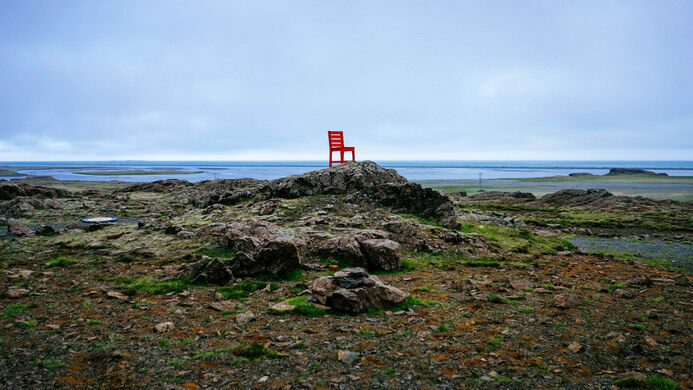 A small pull-off is all that marks it as a stopping place, and there is no indication as to why the chair was placed there. 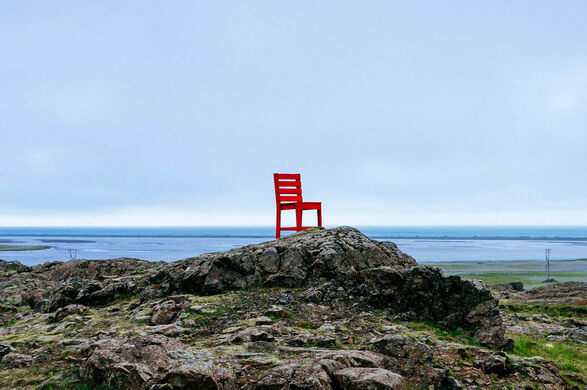 The oversized chair is taller than a human being, and the bright red pops against the blue sky. 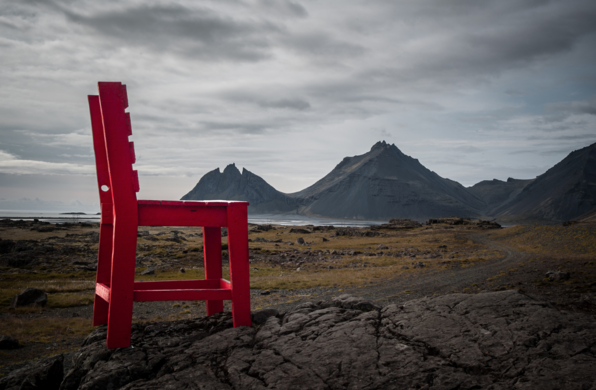 The back of the chair faces the Atlantic Ocean, and some mountains can be seen in the distance, completing this picturesque—if surreal— scene. 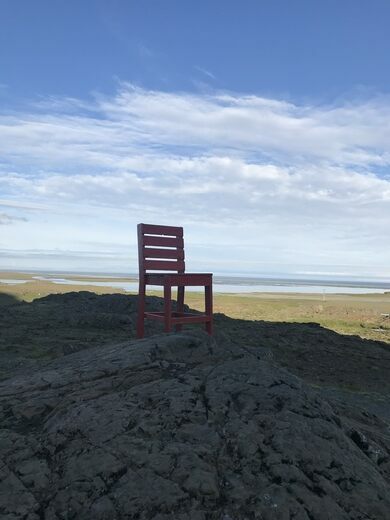 Update March 2019: It has been reported that the chair is no longer there.